1) Keywords Is The Key: Writing for the web largely entails working with and upon keywords. Search Engine Optimization (SEO) is what we are targeting while utilizing keywords. Depending upon the keyword density and organization into the content the rank of the webpage/content page on the World Wide Web is decided. 2) Profound Research Is the Motive: Doing research is the most helpful way of getting an idea about what people on the net like to read. You will get a better picture regarding the language, structure as well as topics that are most searched and read on the internet. Try and follow a similar pattern but do not restrict your own creativity. Take an idea from them and don’t follow blindly. 3) Blogging/Writing Is the Function: One you have decided your audience you need to share your work and research with the rest of world. Social media and blogging allow you to convey your message in a quick manner to a greater audience. Be crisp and clear in your writing. Use simple language and make it interesting to read. Use humor but know the limits. 4) Sharing Is Promoting: Rather than waiting for people to come and view your works promote it by sharing it with others in the same blogosphere. Share their content as well and form a content utility network. Writing for the web can be great fun once you know that tricks of the trade. Keep your content alive by regularly breathing freshness into it. Keep content updated and regular. When it comes to clients, frowning is the initial expression that develops in our face. That is of course not the same story for everyone. Yes, some people can take a sigh of relief on that, or pacify their hard feelings which was about to brew in! Dealing with clients is supposedly the most challenging task one can imagine in his/her lifetime. To generalize it, one of the toughest jobs in the world of business and marketing. Effective communication is what drives an interaction with a client. If you are bugged with amount of good work that is being reflected on your website, you are likely to end up with an extremely raised bar of expectations from the probable clients. Start with a bang – Initially, it is extremely important to know each and every inch about the business of the client. The products and services, corporate culture and the USP of the client are the few features one needs to study before even starting the communication process. Understanding their needs and the sole purpose for the meeting also holds an important place in the interaction session. Some clients would stay a little skeptic before devoting time to the interaction. Staying with the passive mode of the client won’t help in making the encounter a fruitful. It is important to make them feel that this entire project aims at developing and refurbishing their entire business enterprise. On the record – It is always a huge headache to get back to the client and retrieve all that was demanded. Moreover, it is extremely embarrassing. Keeping a good record of what the client has said is extremely important in order to focus upon the work lying ahead instead of going back and irritate the client for no reason! CRM systems have come up as the best weapon to deal with multiple clients at the same time. Do the listening – A website and the business of a client is all about them, their marketing strategies, their customers and their take on the market. Sitting mum is absolutely not a solution, but it is important to be patient enough to listen to the requirements of the client. Speak up – Doubts are the biggest bug that can haunt you while interacting with the client. Do not let that bug grow itself inside you. Puke it out to wipe out all your confusions. There are a lot of facts which won’t be provided to you unless you ask for them from your client. Be patient – You are good at what you do and this is the reason you are interacting with your client. Clients are not necessarily replete with the knowledge about your job. Pacify your hump of knowledge and experience in order to suit the needs of the client. Listen to them first and then explain them the entire scenario. Make your communication count – The clients may not be available for reverting back your reply all the time. Thus, in order to make things easy for the client, it always advisable to collect all your questions and doubts in one single mail and send them. Since clients value their own time, they will appreciate if you increase the time that you have in communication. Thus, following these precautions will always help you in making your interaction with the client a fruitful one. Moreover, they are not that tough to follow. You knew each one of it, but it’s just that you never wanted to implement it. Now is the time. Delving Into The Depths: What Makes For Good Content? You know what is the main constituent that serves as a cartilage between a content writer and his audience? That reinforcing bond which draws eyeballs to a particular article/blog et al, and ensures repeat reading, with a satisfied sigh of contentment afterwards? It is when a content writer formulates his copy in such a way that the readers feel that they knew the plot all along, like it was simply niggling away at the back of their subconscious and was now, mercifully brought to the fore. That feeling of contentment instinctively forms an appeal for the write-up in the reader’s mind and makes him/her appreciate the value and message of the copy exponentially. A good content writer can be suitably compared to an illustrious raconteur; if the said raconteur manages to transport his target audience to that mystical, fabled land of lore and make them feel like they are in the thick of the action, it’s a job well done for him and will draw loud applause at the end, along with a fat paycheck. Similarly, a good content writer needs to form a connection with his audience and through the impact of words, involve them as an integral part of the story, whether it is about travelling to exotic locations or something as arbitrary as chimney sweeping services in some remote corner of Birmingham. Forming a union with your reader is of prime importance; incepting that feeling of joyful satisfaction in their minds of knowing exactly what you were up to is just the succulent cherry on top. 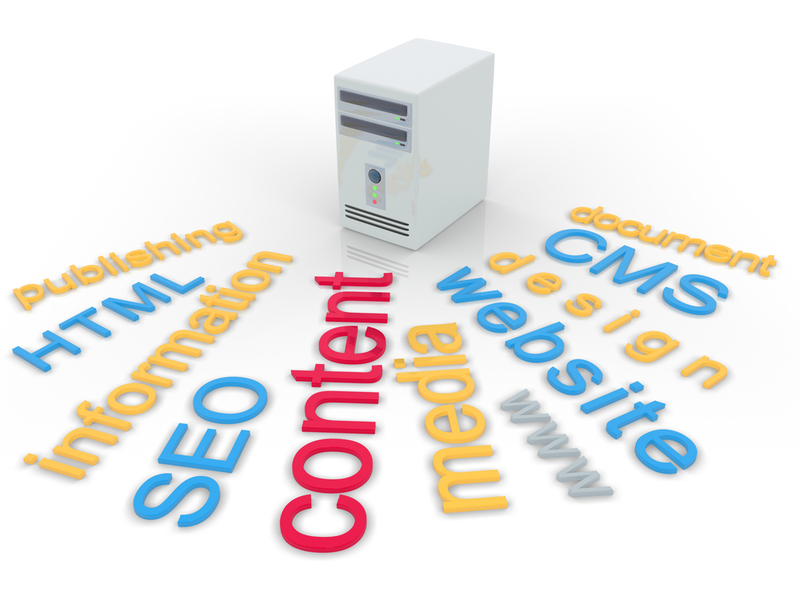 Search Engine Optimization can be progressive only if good content rules the roost on the concerned website. For good content to prevail, the content writer must be able to get the desired message across in a crisp, concise and cohesive manner, without being overtly frivolous as this makes the content unfavourably exhaustive. Use of excessive number of pretty words is not advised. Lastly, tweak the article a little so as to accommodate the prescribed number of keywords, and voila, you have an article for the taking! With the outsourcing enterprise in India booming and thriving with every passing year, content writers have become a dime a dozen. You will find applications for content writers being flooded with responses, akin to the 3rd class berth of a Mumbai local being overloaded by all and sundry. How then, does one differentiate between a good content writer and the run-of-the-mill, would-be content writers who come to the employer’s office together as a mixed bag? One of the basic tenets of content writing is one’s lucidity with the language. In crude terms, one’s flow, that determines whether the desired reader will be engrossed in his work or not. A good content writer is proficient in speaking, writing and more importantly, thinking in the language. Thinking in the language means that one doesn’t need to go through the trouble of receiving the information in a certain language, deriving its meaning in his/her preferred language, and finally converting it into the required language. Basically, you don’t need to stand in the queue; simply take the fast track way through. This grants efficiency and effectiveness as both time and fluidity are optimized to the maximum. Another inherent element that plays a pivotal role in content writing is one’s ability to judge the audience that is being catered to, and subsequently write the article keeping in mind their needs, whims and fancies. This is the aspect where experience comes into play. Freshly-weaned content writers would tend to be selfish in their work, seeking to write as they please, thinking that if the article seems fine to them, how could it not appeal to the target audience? Perish the thought! However, as one grows, and becomes acquainted with the nuances of audience psyche and the subtlety of content writing in general, it becomes quite apparent that the road to the meadows has many forks, and the veteran content writer will travel the one that leaves his companions aka audience, verily satisfied. The final facet that is instrumental in sculpting a superior content writer is his/her ability to learn how to fit the appropriate number of keywords into the copy, without taking away from its appeal or tainting its flow. One needs to be judicious with keywords; they are a blessed boon, but if used with recklessness and gay abandon, they can reduce a fine article into undignified gibberish. An admirable trait of a good content writer is to fit the keywords in the copy and not harm the content itself, rather enhance its quality. These are the fundamental cogs that make for the well-oiled machine that is a good content writer.